Kids screaming, "Stay out of my room!" Banging and clanging of pots and pans. 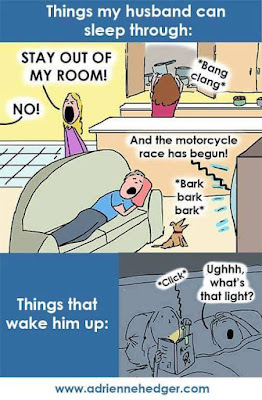 A dog barking at a motorcycle race on the TV. Clicking on a tiny book light in bed. "Ughhhh, what's that light?"